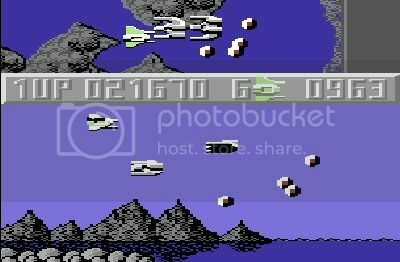 by PaulEMoz in "Commodore 64", "Rob Hubbard", "Sanxion", "Stavros Fasoulas", "Thalamus"
I'm going to do this Hyper-Thalamus! thing in chronological order... makes sense, really. That being the case, I'm starting off with their first release, a game that caused a bit of a stir for a number of reasons... Sanxion. For those unfamiliar with the history, Thalamus was owned by Newsfield Corporation. Also owned by Newsfield Corporation was the legendary Commodore 64 magazine, ZZAP! 64. So when Sanxion was reviewed by ZZAP! 64 and awarded a Sizzler!, there were cries of foul play from other quarters. Were they right to be suspicious? 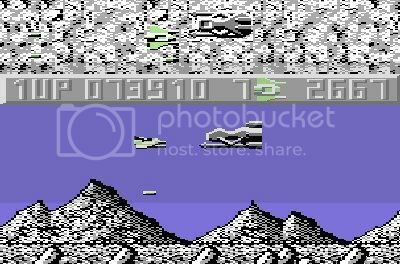 Sanxion is a horizontally-scrolling shooter, although it's a little different from many of the day in that the bottom half of the screen has a side-on view where the action is concentrated, while the top half has an overhead-view scanner. That said, the scanner view doesn't extend much beyond what you can see in the bottom screen, but it gives you just enough extra to let you prepare a little for each upcoming wave. Something that's a bit frightening from the off is the speed of the game. Once you push that stick to the right, you're really moving! Truth be told, you go too fast to really have a chance, but luckily you can dictate the pace at which you fly, which makes things a little bit easier (albeit far from easy! ), and only results in your end-level bonus taking a hit (no great hardship). Bonus time! All you have to do here is blast everything! After every level, you'll play a bonus section. 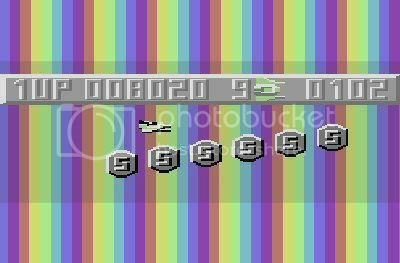 During these, you'll fly through rainbow-striped areas, either destroying waves of spaceships or picking up bonus coins. You can't die in these areas, but careful piloting can net you some pretty big scores. Sanxion is a funny game. It can be, in the same game, both exhilarating and frustrating. When you whizz through a few attack waves or barriers at top speed and come out unscathed, it's quite a rush. On the other hand, it can be annoying to hit barrier after barrier and watching your number of lives dwindle. Still, it's a highly polished game, with good graphics (the wobbling ship is a lovely touch), amazing music (particularly the loading screen - one of Rob Hubbard's best) and plenty of stuff to blast.